The nomination of Greg Taylor, dealer principal at Taylor & Sons Chevrolet in Ponderay, Idaho, for the 2017 TIME Dealer of the Year award was announced by TIME. Taylor is one of a select group of 49 dealer nominees from across the country who was honored at the 100th annual National Automobile Dealers Association (NADA) Convention & Exposition in New Orleans, Louisiana, on January 27, 2017. In its sixth year as exclusive sponsor, Ally recognizes dealer nominees and their community efforts by contributing $1,000 to each nominee’s 501(c)3 charity of choice. Nominees will also be recognized on AllyDealerHeroes.com, which highlights the philanthropic contributions and achievements of TIME Dealer of the Year nominees. The TIME Dealer of the Year award is one of the automobile industry’s most prestigious and highly coveted honors. Recipients are among the nation’s most successful auto dealers who also demonstrate a long-standing commitment to community service. Taylor, 68, was chosen to represent the Idaho Automobile Dealers Association in the national competition – one of only 49 auto dealers from 16,000 nationwide – nominated for the 48th annual award. The award is sponsored by TIME in association with Ally Financial, and in cooperation with NADA. A panel of faculty members from the Tauber Institute for Global Operations at the University of Michigan selected one finalist from each of the four NADA regions and one national Dealer of the Year. “The most rewarding aspect of my retail automotive career is being successful enough to provide a comfortable living to many employees over the years and watching them and their families grow into productive citizens in our community,” nominee Taylor said. Taylor, who was raised on a wheat farm in eastern Washington, is a 1966 graduate of Ritzville High School in Ritzville, Washington. He studied economics and earned a B.A. in business from Washington State University in Pullman in 1970, where he was a member of Phi Sigma Kappa fraternity and the Reserve Officers’ Training Corps (ROTC), though he was never commissioned due to a medical condition. When he graduated from college, a family friend arranged an interview for him with GMAC (General Motors Acceptance Corporation) in Spokane, Washington. “I was hired at a $435 per month salary as a field representative and have been in the automobile business ever since,” he said. 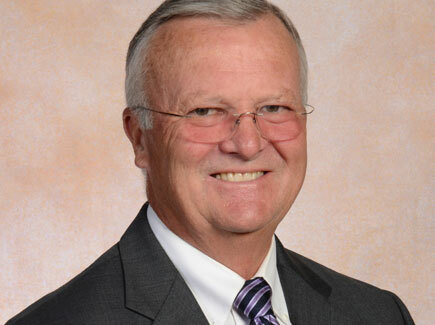 Taylor founded his dealership in 1988 (then Taylor-Parker Motor Company) and his wife, Laurel, who recently retired, has worked with him there and in all of his business ventures since 1983. His son Brett, is currently a financial partner, general manager and his successor. “This industry has made it possible for me to provide quality education and opportunities for our two sons, one who has joined us in our dealership operation and the other who is a successful structural engineer,” he said. Of all of his community contributions, he is most proud of building an athletic field at Sandpoint High School in Sandpoint, Idaho, and spearheading the fundraising drive for an adjoining athletic field house, which bears the name of his oldest son, Tucker Taylor, who passed away at the age of 17. He also supports other community initiatives, including Community Cancer Services in Sandpoint, known as Heather’s House, a resource center for cancer patients and their families, and Kinderhaven, also in Sandpoint, a group foster home and emergency shelter that provides a safe haven for children in crisis. Taylor was nominated for the TIME Dealer of the Year award by Kevin Hanigan, vice president and executive director of the Idaho Automobile Dealers Association. He and his wife, Laurel, have two children and three grandchildren.